Chapter 7 bankruptcy is said to be a liquidation bankruptcy that provides debtors with a fresh start. Bankruptcy under this chapter of the Bankruptcy Code allows debtors to discharge certain debt, which is why it feels like the debtor is starting anew. However, there are types of debt that cannot be discharged. What kinds of debts can be discharged in bankruptcy? 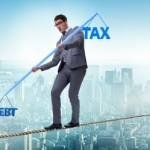 A creditor can also object to a discharge of a particular debt when you file for a Chapter 7 bankruptcy.3 Creditors can also object to a discharge to all of your debts in Chapter 7 bankruptcy if you are accused of committing fraud, such as transferring title or property to another person to avoid including it in the bankruptcy.4 The bankruptcy trustee can also object to a discharge if there is a valid reason behind the objection. Can you discharge fraud debts? In another Ninth Circuit case, In Re Sherman,A� an attorney who represented defendants in an SEC enforcement action was told to disgorge ill-gotten gains withdrawn from his trust account in a contingency case.9 The attorney filed for Chapter 7 bankruptcy and was granted a discharge and allowed a declaration that his obligation to disgorge funds had been discharged despite section 523(a)(1).10 Both the bankruptcy court and the Ninth Circuit agreed that section 523 was there to apply to wrongdoers and not people who owed a debt which the SEC was authorized to enforce, and that preventing discharge of debts for security-related wrongdoings only applied in cases where the debtor is responsible for such wrongdoing.11 Further, there have also been cases where the US Court of Appeals for the Ninth Circuit has held the bankruptcy court has the power to recharacterize debt as equity.12 This recharacterization should be to determine whether a transfer was fraudulent under section 548 of the Bankruptcy Code, which allows the bankruptcy trustee to avoid any transfer that is fraudulent within two (2) years before filing the date of the petition.13 11 U.S.C. A� 548. For more information about discharging fraud debts in bankruptcy call to speak directly with the experienced Phoenix AZ bankruptcy lawyers at Ariano & Reppucci, PLLC. 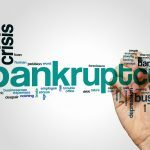 Kathleen Michon, Which Business Debts Are Discharged In Chapter 7 Bankruptcy? nolo.com, http://www.nolo.com/legal-encyclopedia/business-debts-discharged-chapter-7-bankruptcy-32415.html (last visited Jan. 14, 2015). 3 Kathleen Michon, Objections to the Bankruptcy Discharge, nolo.com, http://www.nolo.com/legal-encyclopedia/objections-the-bankruptcy-discharge.html (last visited Jan. 13, 2015). 5 Campbell & Coombs, Ninth Circuit BAP Protects Business Owners, arizonabankruptcylawyersblog.com (July 22, 2014), http://www.arizonabankruptcylawyerblog.com/2014/07/ninth_circuit_bap_protects_bus.html?utm_source=feedburner&utm_medium=feed&utm_campaign=Feed%3A+ArizonaBankruptcyLawyerBlogCom+%28Arizona+Bankruptcy+Lawyer+Blog%29. 6 Discharge, Exceptions to Discharge, and Objections to Discharge, govinfo.library.unt.edu, http://govinfo.library.unt.edu/nbrc/report/07consum.html (last visited Jan. 14, 2015). 7 Recent Seventh and Ninth Circuit Cases Affect Federal Equity Receiverships, allenmatkins.com (Feb. 1, 2012), http://www.allenmatkins.com/Publications/Legal-Alerts/2012/02/01_02_2012-Bankruptcy-Alert.aspx. 8 Campbell & Coombs, supra note 5. 9 Recent Seventh and Ninth Circuit Cases Affect Federal Equity Receiverships, supra note 7. 12 Ninth Circuit Holds That Debt Can Be Recharacterized As Equity, kattenlaw.com (June 5, 2013), http://www.kattenlaw.com/33097.